1 What’s this based on? 2.1 How does it differ from other related roles? 2.3 What is it like day to day? 3 Why should you go into product management? 5.1 Who should especially consider this option? 8.1 Think you should do something else? 8.2 Plan to work in management consulting? Product management is one of the best non-programming roles in the tech industry, and tech is one of the most attractive industries to work in. It builds more widely-applicable skills than software engineering roles and has comparable pay. Programming experience isn’t necessary, but it’s also a great next step for software engineers. If you don’t have experience, apply to a product management graduate scheme at a large company or go into software engineering or user experience design first. If you already work in tech, try moving into product management in your current company or apply for product management jobs in other companies. Check out this in-depth explanation of what product management is and this guide on how to get a job. For this career review we interviewed the Head of Product at a rapidly growing startup and a product manager at a software company with over 4000 employees. 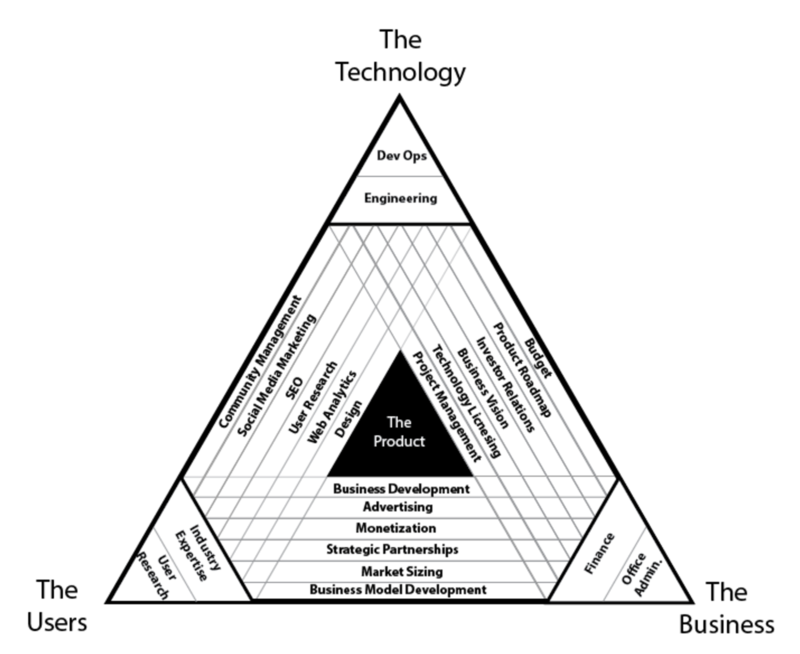 We read several online articles, the most useful of which were The Product Mangement Triangle, 3 Types of Product Management, Good Product Manager/Bad Product Manager and So You Want to be a Product Manager. We also drew on the author’s experience of working with product managers as a software developer at a small software company. Product managers help their company build the right product for their customers. Typical activities include talking to users about what they need from the software, analysing data on how people are using it, planning the long term development of the product, clearly specifying what needs to be built, meeting with different teams in the business to get their ideas for the product and let them know what’s being built, and prioritising between options for what gets built. This is a varied set of activities, but they are united by product managers’ overall responsibility for the success of a software product. They work out how the product can fulfil the goals of the business and its customers and then work with the teams involved to coordinate building it. But they usually don’t directly manage those teams. Instead they provide a bridge between them, making sure the teams stay in sync and help them to prioritise and make tradeoffs between competing goals. The following diagram shows how product managers fit into the rest of the business. There are three criteria that are necessary to make a successful piece of software: it needs to be valuable to users, valuable to the business, and feasible to build technically. And different roles in the business help with each of these different parts. Some people work exclusively on one of these goals: for example, engineers work out if the technology is feasible and then build it. Others provide bridges between the goals. For example, user experience designers analyse user needs and then use their understanding to make designs so that the engineers can build the right technology. So where do product managers fit in? Choosing the right compromises: For example, the marketing team want to ask users for more information when they sign up so that they can send them more relevant marketing emails. But the design team thinks this will be annoying for users. The product manager decides on the best compromise. Making sure everyone knows what they need to about the product: For example, an engineer is making a piece of software to go on a client’s website. The product manager has learned from the marketing team that in the future, clients will want to be able to customise the software’s colours. The product manager can tell the developer about this so that they build the software in a way that allows it to be customised. Jack-of-all-trades: Small companies won’t have hired all of the specialists needed to build software, so product managers often take on some of these responsibilities. How does it differ from other related roles? vs project managers: Product managers often do project management too, but the roles are distinct. The difference is that product managers figure out what should be built, whereas project managers coordinate plans that have already been decided. vs user experience designers: Product managers set the overall goals for the product and coordinate between different teams, while user experience designers concentrate on talking to users and turning that understanding into designs to be implemented. The two often work together very closely and product managers have to have a good understanding of what users want. If you rise up the hierarchy of product managers in a larger company you can expect to take on larger and more important products and eventually be managing product teams. If you join a small but growing startup then you will be able to build a product management team under you. Creating and prioritising tasks that describe features to be built and bugs to be fixed. Writing documents to share the most important information about the product with other teams. Analysing data on how the product is being used. Check out day-in-the-life profiles here and here. Long hours are not as common as in law, finance, and management consulting though depend on which company you join. Hours can be longer around critical periods such as before the release of an important update to the software. Why should you go into product management? Product managers develop skills applicable across a wide range of jobs, with particularly strong skills in communication and organisation, along with a good understanding of software. They also learn how many parts of software businesses work – they regularly need to work with engineers, designers, senior management, sales, marketing, and customer support. Tech companies are also good places to learn the best-available work practices and to build a network of talented people. This is because they tend to employ highly able people and have cultures of optimisation and improvement. This is particularly true in high-growth startups or companies that were recently high-growth startups (such as Google or Airbnb). Product management at socially impactful startups: There are tech startups that have the potential for a very large impact, such as Wave and Segovia. Tech entrepreneurship: The skillset of a product manager is close to that of a non-technical cofounder of a software startup. Tech entrepreneurship gives you the chance both of very high earnings (enabling earning to give) and having a large direct impact through technology. Management and project management roles in highly effective organisations: The communication and project management skills that product managers gain enables them to transition into management roles at many different kinds of highly effective organisations. This would include working in effective altruist organisations. Product management is a moderately well-paid career, so can be used to earn to give. Median US earnings (including bonuses) for software product managers are $90,000. Earnings are comparable to software engineers but are lower than quantitative trading, high-end law, and management consulting. Because product management builds skills relevant to other high-paying jobs such as management and entrepreneurship, there may be scope for large salary growth by using product management as a way to get into these roles. Bear in mind that these are the national averages and you can earn more by working in certain parts of the country or working at a top-tier tech company like Google. Pay at top software companies such as Google, Facebook, and Apple is higher than the national average. We can get a sense of this from looking at salaries reported on Glassdoor for Google product managers. Note that Glassdoor tends to underestimate the highest salaries available. Earnings for UK product managers are significantly lower, with Payscale reporting median salaries of £44,000 (or £48,000 in London). The near-term outlook is good. Demand for related jobs is projected to grow3 in the next decade, which suggests that demand for product managers will also rise. This trend was confirmed by one of the product managers we spoke to who said that demand for product managers has been rising in Silicon Valley and London, causing a rise in salary. In the medium term, salaries can go up or down depending on the stage of the business cycle an economy is in, and also depending on what stage of the industry cycle an industry is in. Right now the technology industry is not likely to be at the bottom of a cycle (see e.g. our position in the Dow Jones US Technology index below), which means there is a chance that salaries will go down in the medium term if there is a contraction in the sector. In the long-term, there is a theoretical argument for increased future demand for people who build software, sometimes called the idea that ‘software is eating the world’. The idea, first pushed by Marc Andreessen is that: “More and more major businesses and industries are being run on software and delivered as online services—from movies to agriculture to national defense.” Although this argument most clearly applies to software engineers, other software-building roles such as product management should see widespread demand for their skills. Another reason to be optimistic about the long-term job outlook is the wide applicability of skills that product managers gain. Even if there was a fall in demand for software product managers, they would be able to shift into non-software roles such as general management, project management, and entrepreneurship. And jobs like product management that use creative and social skills are the least likely to become automated. Product managers are frequently interrupted and find it difficult to find long stretches of time to focus on a task. Although this makes their day more varied, it makes it difficult to get into a satisfying state of flow. You should test out whether you enjoy this kind of multitasking work before you get into product management. Product management has low direct impact, unless you are working at a socially impactful company. It also usually requires existing experience in another software-related field. If you’re a recent graduate looking to have a direct impact through the skills you build in product management, it will be several years before you can do this. If you think that there are important opportunities available to you for having a direct impact now, it might be better to take those instead. As a product manager, you will rarely use your existing specialist skills, such as programming or design, in depth. This could make it hard to switch back into a more specialist role if you spend a long time in product management. Also, unlike product management, programming and design skills can be easily used to freelance. Without these skills you’ll be less able to support yourself while working on a startup, nonprofit, or research project. Adapt information about the software for different departments in the company using language they understand (e.g. translate tech lingo to people in marketing, and marketing lingo to software engineers). Understand the interests of different groups in a company and resolve problems caused by misaligned interests between different teams. Translate vague ideas for changes to the software into descriptions that are specific enough for software engineers to build. Get to know and befriend a wide range of people in a company. You want to play a role in building software, rather than working in one of the supporting non-technical roles such as marketing. You’re curious about how technology works and willing to take part in technical discussions with software engineers. You have experience working with software engineers. You’re happy multitasking, having lots of meetings, and being interrupted a lot, and have excellent organizational skills to handle this. You want to work in tech but lack programming or university-level quantitative skills (but programming skills are still an advantage). You’re a software engineer but you have stronger communication and people skills than your peers and would like more varied work. Start by reading the links at the end of this article. Speak to product managers at different companies to learn more about the job. Take on some product management responsibilities at work or in a side project. If you’re a recent graduate you can apply for graduate training schemes (often called ‘Associate Product Manager programs’) at large companies such as as Google, Yahoo, and Facebook. Of these, Facebook’s is the only one that doesn’t require a computer science degree. Some larger companies hire graduates of MBA programmes, although this is an unusual route in. There is at least one product management bootcamp available, although this is a less established path than programming bootcamps. We expect it will be very difficult for graduates without experience to get a product management role outside of these options. A more usual route in is to start in another part of the tech industry. The most common backgrounds are software development and user experience design. If you’re interested in product management we’d recommend going into one of these first. This is both because they’re the best routes into product management and because they are high-earning careers that are good for career capital. However, if you’re already in working in a software company it’s still possible to move into product management from roles such as customer support, sales, and quality assurance. It’s also possible for people with non-technical backgrounds do an intensive 12-week coding bootcamp and then move directly into a product management job, although this isn’t a common route. By building up experience elsewhere in a software company you’ll get a better idea of what product managers do and whether you want to do it. You can then either apply directly to a product management position on the basis of your existing skills, or you can gradually take on more product management responsibilities within your current company. 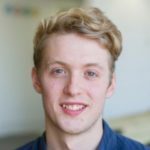 From software development: take charge of writing clear descriptions of what needs to be built, help prioritise tasks, talk to designers to understand the reasons behind their designs, offer to help test new designs with users, write documents for the sales team to help them understand new parts of the software so that they can sell it better. From user experience design: write descriptions of new features for engineers and get feedback on whether they were clear, talk to engineers about how the product is built and what kinds of features are easy or hard to build, run presentations and workshops to communicate what you’ve learned from users to the wider business and to learn what their goals are. It’s also possible to build product manager experience outside of the workplace by working on side projects. You can work on many aspects of building a software product without coding anything, such as getting ideas from users, analysing the market, creating designs, and getting feedback on your designs. When you’re choosing companies to apply to, make sure to choose companies that need your particular strengths. For example, if you don’t have technical skills then it will be very difficult to get a product manager job at Google. This article outlines the types of companies most suitable to people with different backgrounds. Also take a look at this list of startups valued at $1 billion or more. Companies backed by Y-Combinator, the most prestigious startup accelerator. Plan to work in management consulting?